An outstanding, unfiltered premium Absinthe made from several herbs which include Grande and Petite Wormwood, Green Anise Seed, Fennel Seed and Hyssop, a grape-base alcohol, no added sugar, and is bottled at 72°, in order to hold the natural colour and present the aromas to the fullest. Made by following the distillery's own technique of distilling each plant separately, blending the resulting full alcohol distillates and then finishing with an “Esprit Vert” (“Green Spirit” - a natural maceration of additional plants, including Veronica (Speedwell) in grape spirits) which is mixed in during the final colouring stage of production. It louches beautifully, and is complex and intense. Sure to please those who are searching for a spicy, yet traditional Absinthe. 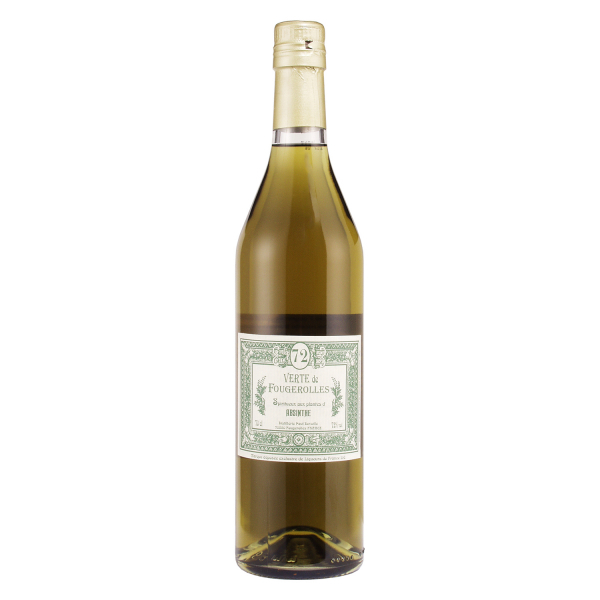 It represents one of the best quality/cost values in modern traditional Absinthes.